Two weeks ago, Joe Yoder and I conducted a workshop on Discovering Alexander’s Properties in Your Life at AsianPLoP, the patterns conference held in Tokyo. I’m still reeling from the many feelings that were stirred up as I prepared for this workshop. 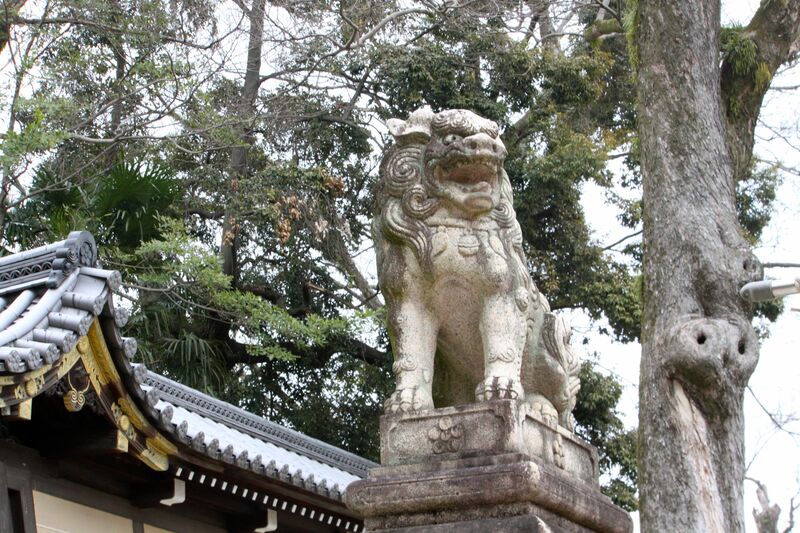 Inspired by the beauty we found in Kyoto, I included several photographs I took of that very beautiful place. Each property was illustrated with some image that resonated strongly resonated with us (whether taken in Kyoto or not, each photo had a strong personal connection). Before I tell more about the workshop, I want to give a gentle introduction to Christopher Alexander’s ideas on properties of things that have life. Fundamental to Alexander’s ideas is the notion of “centers” arranged in space. According to Alexander, things that have life exhibit one or more of fifteen essential properties, which include, among other things, strong centers and boundaries. 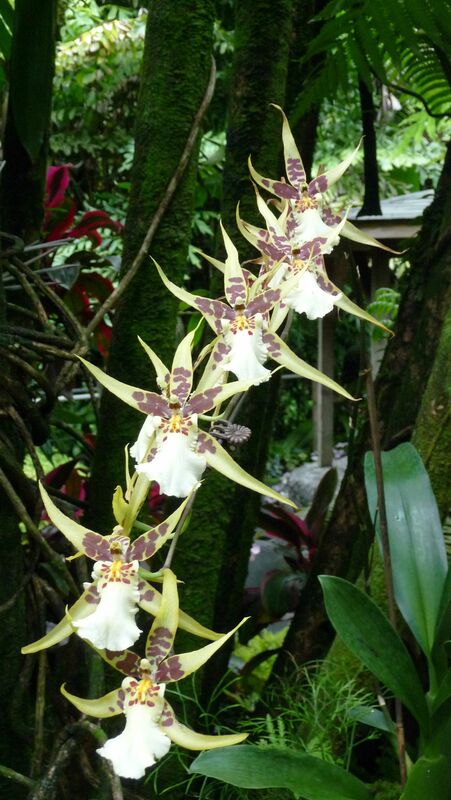 I like this photo because it shows that the center of individual orchid flowers are accentuated and strengthened by the brown spots and five petals that form a star shape that surround. Not only is there a “center” to each flower (the stamen surrounding the pistil); there are several “centers” that surround that innermost center. I leave it to you to find all the centers in this photo. The center cap on the top of the roofline accentuates the gold flower underneath. Underneath that is another circular center. Below that a symmetrical scroll. 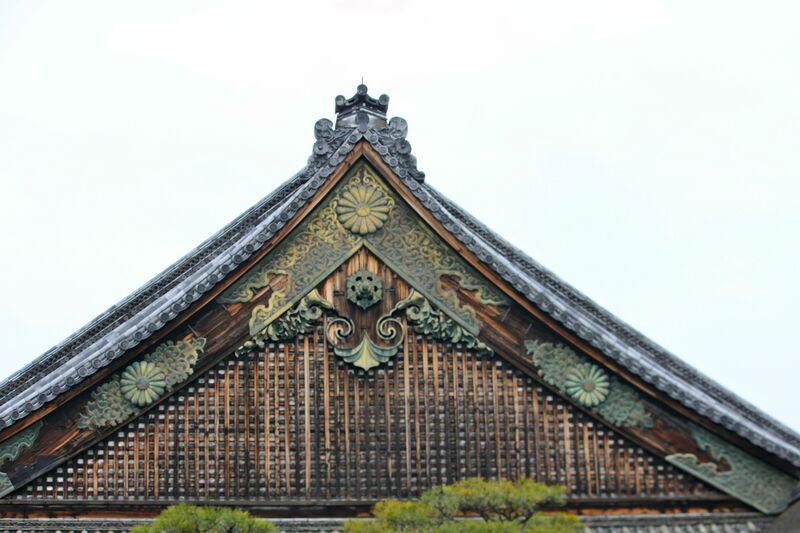 And there are centers (gold flowers) arranged along the roofline. Centers, when arranged in a pleasing fashion, complement and strengthen each other. 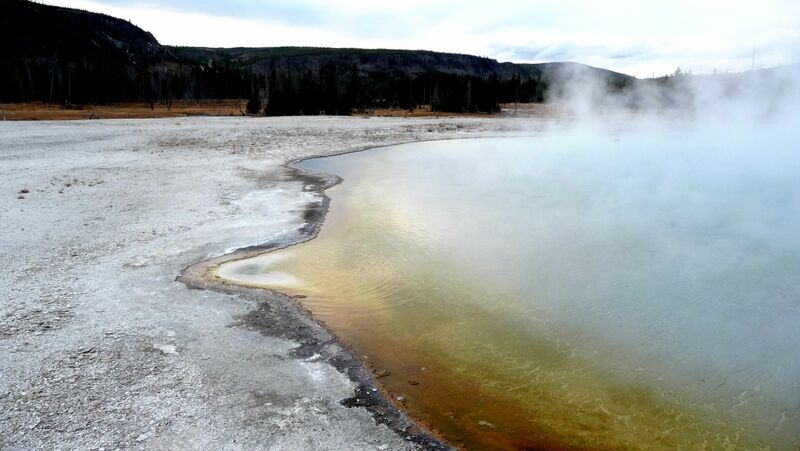 The boundary between the hot spring and the land surrounding is fluid and ever changing (witnessed by the salty stains left from evaporation at the water’s edge). After, explaining and illustrating Alexander’s fifteen properties, we asked attendees to form groups to brainstorm and discuss Alexandrian properties that they found in their own lives. One group focused on Alexandrian properties they found in the Tokyo metro and railway system; another on the properties of bento boxes; and a third on properties in education and learning. I was surprised by the diversity (and how profound some of the examples were, even though at first blush they seemed straightforward and simple). But that is the topic of my next blog post. 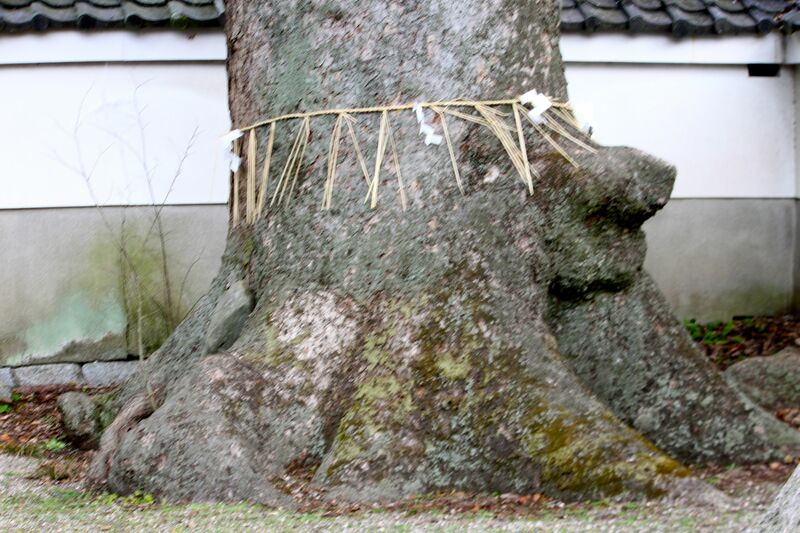 Is Kyoto a magical place? I think so. 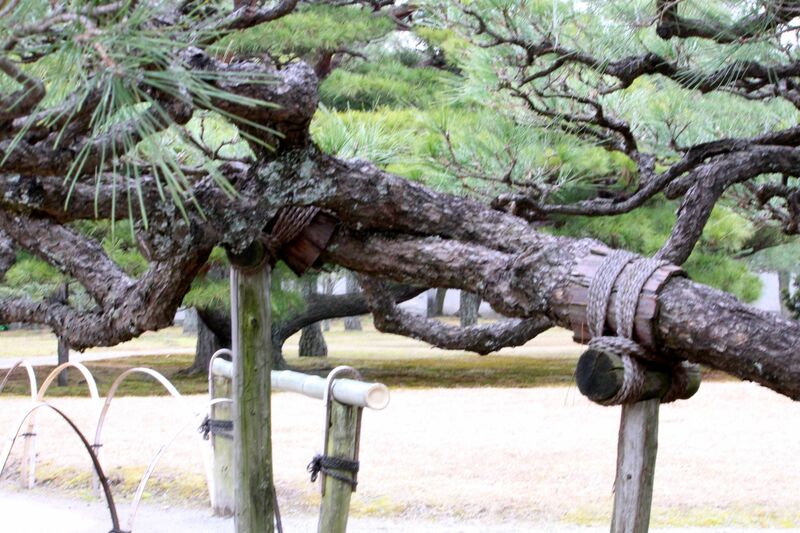 It was amazing to discover human-like or animal-like images in photos of trees. I had no idea that those shapes were there until I looked at my photographs. My eye must have been unconsciously drawn to those shapes (but truly, I didn’t see them until I looked at the photos). Even more startling to me is the liveliness of inanimate things—whether a hand crafted software module or a carefully placed garden pathway—that is more subtle and also profound. When we find strong centers surrounded by other strong centers in designed things, there is a pleasing sense of discovery and wonder.